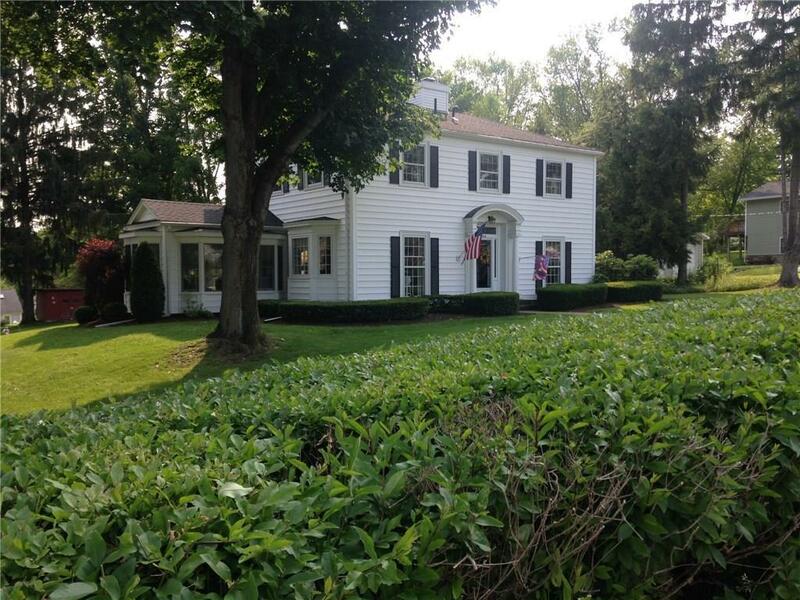 Beautiful two story colonial with lovely lake views located in the village of Mayville. Features include 3-4 bedrooms, one of which is a large master suite with private bath and walk-in closet. On the main floor, there's a year round sunroom, large living room with fireplace, and a dining room all of which are light and bright with large windows. Add to this an eat in kitchen plus a den/bedroom with 1/2 bath. The basement consists of three separate storage areas, coat/shoe drop area, laundry area, half bath, and entrances to the attached, heated, two car garage. Don't miss the chance to live in this charming and elegant home situated on a large corner lot just a short walk to local shops, Chautauqua Lake, and minutes to Chautauqua Institution. Call today for your private showing. Directions To Property: Rt. 394 To Mayville. Corner Of Morris And South Erie St. Look For Sign.